As a single person, it’s easy to fall into the trap of heating up microwavable meals on a regular basis. Lately, I’ve been avoiding that by broadening my cooking repertoire and finding recipes that are simple enough to make when I get home from a day of deadlines. 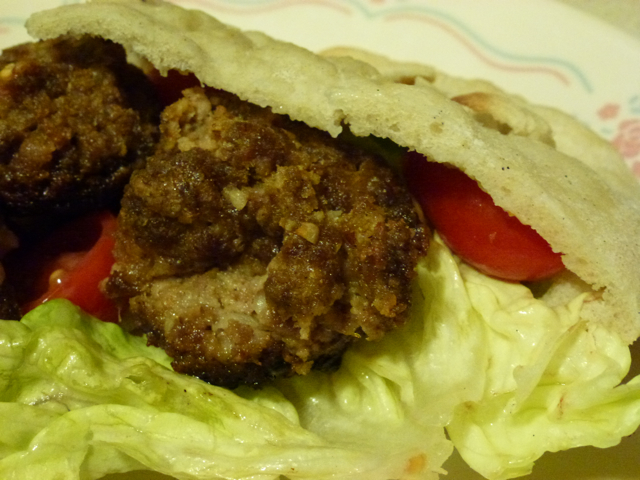 This week, I needed to make something that would work with the pita I made last weekend. I saw a recipe for Hummus Meatballs in Associated Press Food Editor J.M. Hirsch’s “High Flavor, Low Labor” cookbook — which is loaded with great recipes that are easy to make when you don’t have a lot of time — and decided they would fit the bill. A few years ago, when I first started teaching myself how to cook, I’d buy every ingredient listed in the recipe I wanted to try. That habit left my cabinets littered with partially full jars of curry paste and specialty spices and ingredients for which I otherwise had no use. I’ve since abandoned that tendency and tried to use what’s already in my kitchen. For this recipe, I didn’t have a red onion, parsley, cilantro or cumin. I used basil-flavored hummus, which I felt incorporated the herb flavor I might otherwise have missed. I only had white pearl onions, so I chopped a handful of those and substituted them for the red onion. As long as you have the hummus, bread and meat, you can substitute whatever you’d like in this recipe. I cooked the meatballs for 20 minutes and they ended up being tender and slightly charred on the bottom, which actually tasted pretty good. Next time I make these, I’ll likely add some chopped sun-dried tomatoes because I felt the end result was a little bland. In a food processor, pulse the bread until it is finely ground. Add the onion and pulse until it is finely chopped and blended with the bread. Add the parsley, cilantro, cumin, cinnamon, allspice and paprika. Pulse several times, or until thoroughly blended. Add the hummus, egg, salt and pepper, then pulse until blended. Transfer the mixture to a large bowl. Add the beef, then mix well. Use your hands to form the mixture into balls by the tablespoonful. 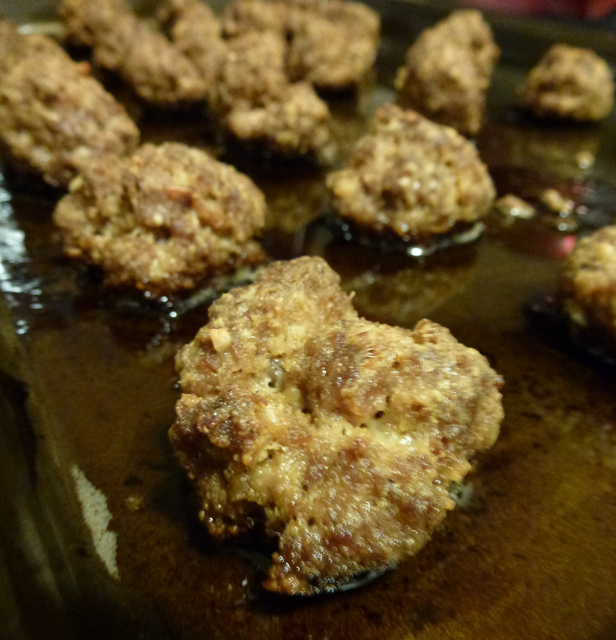 Arrange them on the prepared baking sheet, Spritz the meatballs with cooking spray. Bake for 20 to 25 minutes, or until cooked through. Makes about three dozen meatballs.